Professional keyword research service, SEO audit, competitors research, content optimization. Are you spending money & time on SEO top positions and buying backlinks without any knowledge of your sites current SEO status, your best possible keywords, on-page settings status or what competitors were doing and getting success to stay ahead of you. Then you are doing this all wrong. We have seen people buying thousands of backlinks from various sources, purchase top position guaranteed services which You’ll probably penalize your site by doing so. 4th, we will have another SEO audit to check the site status after all the setting, keywords search ranking positions, work if there anything needs improvement. 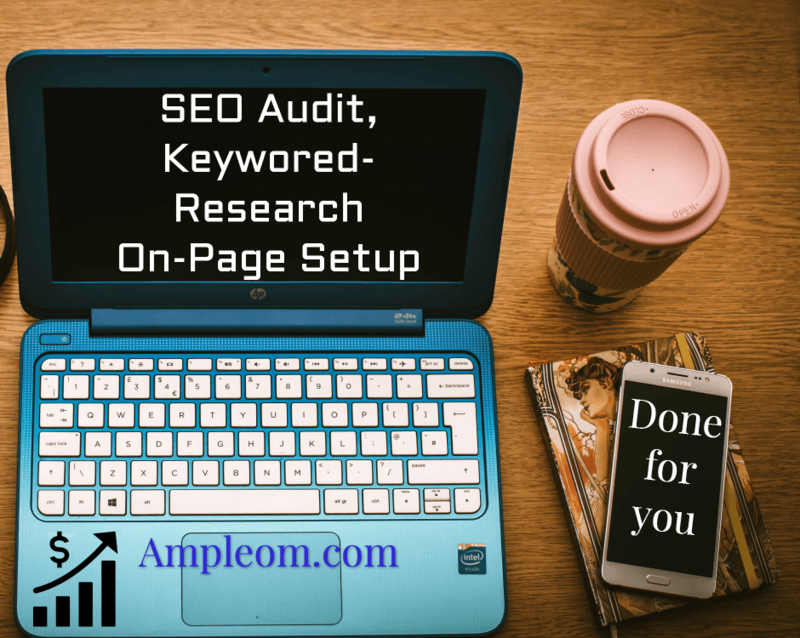 5th, send you the reports with further SEO action plans. Please include attribution to ampleom.com with this graphic. We will also include a spreadsheet so you can edit and plan your online campaign.